• A Scandinavian name for your baby? • The names of Norse gods and heroes? • The history and meaning of Scandinavian first names? • Variations and alternate spellings for common Scandinavian names? • Naming traditions and customs in Norway, Sweden, and Denmark? 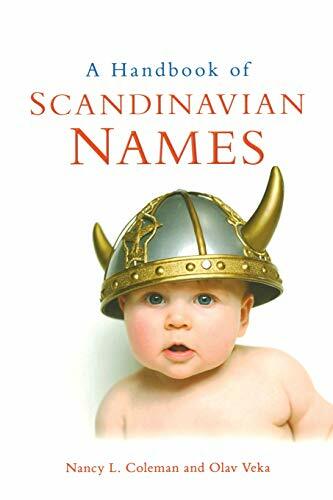 A Handbook of Scandinavian Names includes a dictionary of more than fifteen hundred given names from Norway, Sweden, and Denmark, plus some from Iceland and Finland. Each entry provides a guide to pronunciation and the origin and meaning of the name. Many entries also include variations and usage in the Scandinavian countries and famous bearers of the name. Adding engaging context to the dictionary section is an extensive comparative guide to naming practices. The authors discuss immigration to North America from Scandinavia and the ways given names and surnames were adapted in the New World. Also included in the book is a history of Scandinavian names, information on “Name Days,” and discussion of significant names from mythology and history, including naming traditions in royal families. If you have any questions about this product by University of Wisconsin Press, contact us by completing and submitting the form below. If you are looking for a specif part number, please include it with your message.